A small exercise in which young leaners have to choose and complete the sentences with am, is, are, do ,does ,don't ,doesn't, can or can't in simple sentences.. The above printable, downloadable handout is intended for high school students, elementary school students and students with special educational needs, learning difficulties, e.g. dyslexia at Elementary (A1) and Pre-intermediate (A2) level. 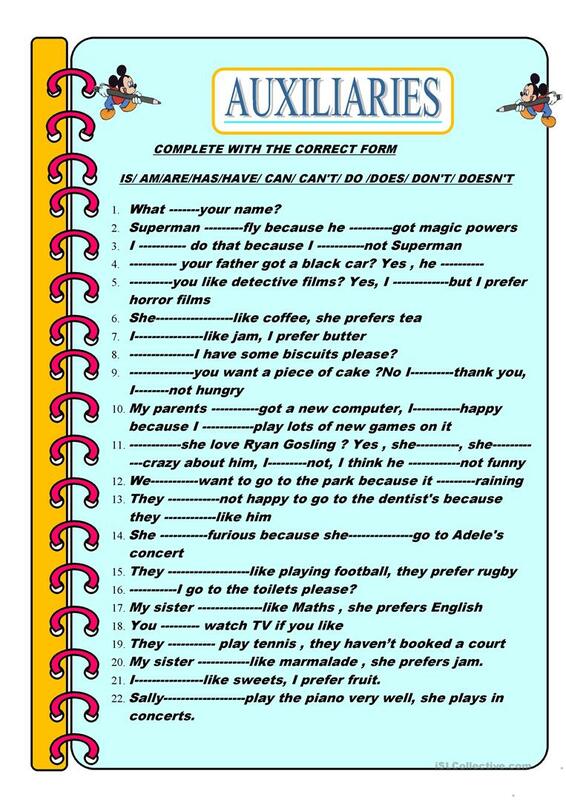 It is valuable for practising Auxiliary verbs in English, and was designed for strengthening your pupils' Writing skills.